Prominent & Leading Exporter from Ahmedabad, we offer refrigeration plants maintenance, cold storage maintenance, ice plant maintenance, machine maintenance service and cold storage refrigerator freezer. 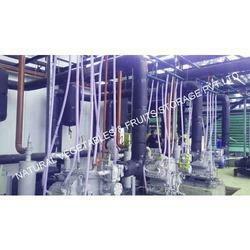 We are engaged in offering high quality Refrigeration Plants Maintenance Services. The offered services are rendered by our team of experienced professionals utilizing high quality raw material and cutting-edge technology keeping in mind international standards. These services are highly appreciated for timely execution, reliability and cost-effectiveness. Moreover, our services are rendered after understanding the precise requirement of client in order to offer perfect solution. 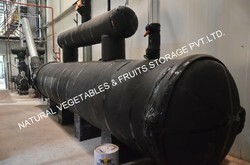 Our organization is engaged in providing high quality Cold Storage Maintenance Services to our esteemed clients. We have experienced professionals with the help of whom we render these services using modern technology in adherence with the international quality standards. Our professionals interact with clients and as per their designs and requirements, offer these services. Furthermore, clients can avail these services from us at the most affordable prices. 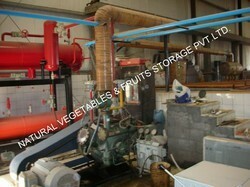 Keeping track with the market development, we are engaged in providing our clients Ice Plant Maintenance. With the help of our team of adroit professionals, we render these services according to the exact needs of clients. Furthermore, we use advanced techniques and latest machines with high precision in order to execute these services. Service offered by us is highly demanded all across the nation due to their swiftness, reliability and flexibility. In our extensive range of services, we are engaged in offering superior Machine Maintenance Service. Our team of adroit professionals has in-depth knowledge in this domain, who work round the clock and render these services with perfection within the stipulated time frame. Our professionals execute all the stages related to these services in an effective manner. In addition to this, these services are offered at par with clients’ demands within their budgetary constraints.